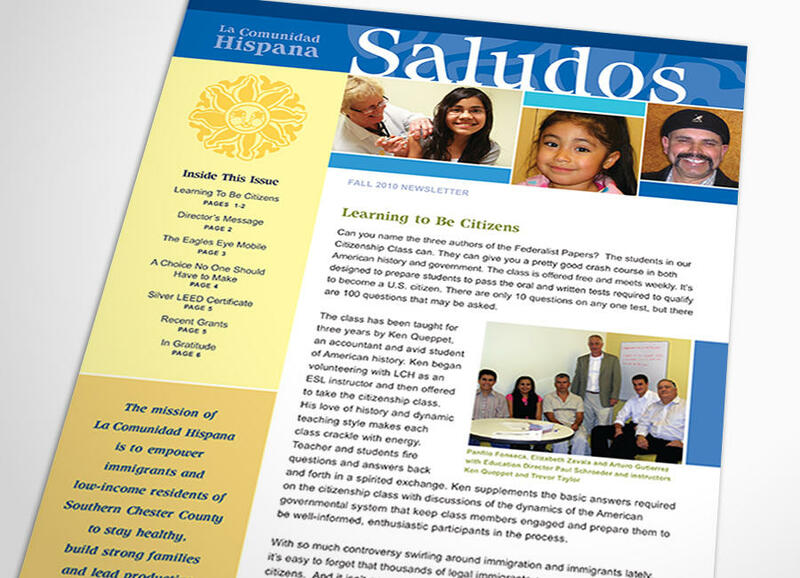 “Saludos” became the vehicle to initiate the reinvention of LCH as an integrated community service organization, bringing together health, education and social services under a single banner. 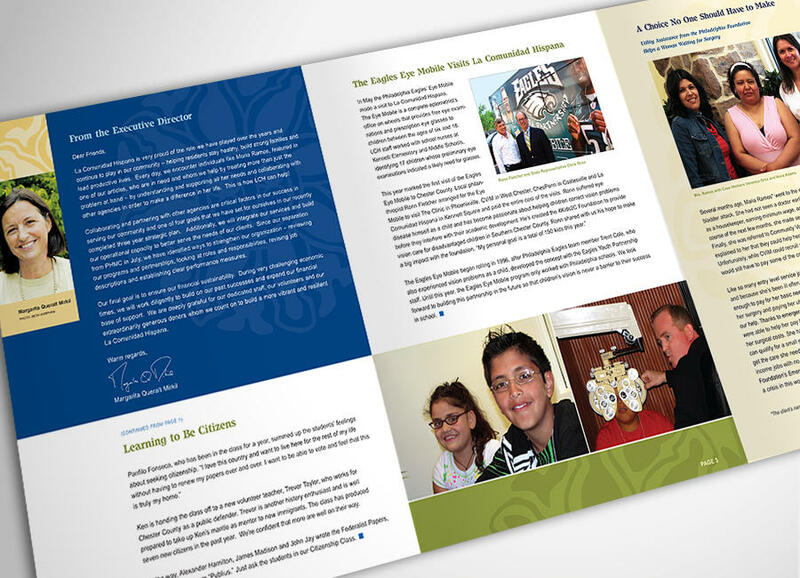 Brand development was key to repositioning this non-profit and amplifying its connection to the Latino community it serves. The newsletter presents LCH programs in a compelling manner that reaches both beneficiaries and benefactors, improving levels of community participation and of financial support.